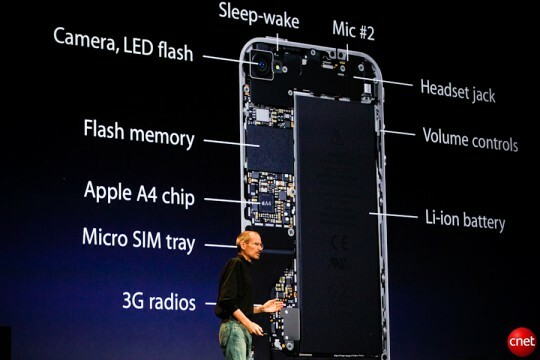 Jefferies analyst Peter Misek has just coughed up a crusty old bezoar of regurgitated iPhone 5 rumors. You know pretty much all of them: that the next iPhone will be called the iPhone 4S (debatable, doubtful), that it’ll boast an A5 dual-core SoC (a certainty) and that it’ll be coming to Sprint and T-Mobile (maybe). He does make one interesting new claim, though: the next iPhone will boast HSPA+ mobile broadband speeds. Depending on which carrier you believe, that might make it a 4G phone. Right now, AT&T markets their current HSPA+ handsets as “4G.” This is a downright lie: they’ve actually throttled the speeds of their 4G handsets to be slower than the iPhone 4. That said, with AT&T’s having not even started to roll out their actual 4G LTE service, HSPA+ on the next iPhone might be as good as it gets. According to Misek, his “industry checks” suggest that Apple wanted to put a 4G chipset into the next iPhone, but ones meeting their specifications weren’t going to be ready in time, forcing Apple to stick with HSPA+. This raises an interesting point. If AT&T treats HSPA+ service on the iPhone like they do on other handsets, throttling the bandwidth, could the next iPhone be the first iPhone to actually boast dramatically slower mobile broadband speeds than the previous model, at least on Ma Bell? We doubt it, but then again, we’d never underestimate AT&T’s commitment to terrible mobile service.